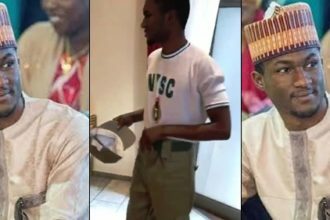 The National Youth Service Corps (NYSC) has introduced a biometric technology for the corps members’ monthly clearance in South West, a development that will expose those who absent themselves from their places of primary assignment. The Director General of NYSC, Brig-Gen Suleiman Kazure who stated this in Ibadan at the opening ceremony of the training workshop on Biometric Clearance of Corps Members in Local Government Areas in SouthWest with the theme “Ensuring Accountability in Corps members activities using ICT, said that biometric technology will not only address absenteeism during service year but will also address the problems of irregular signatures leading to non-payment of monthly allowance, and poor collation and storage of data of corps members. The training was organized for all heads of corps inspection and monitoring branches, ICT desk officers, zonal and local government inspectors of the South-West. Kazure, who was represented by NYSC Director of Corps Welfare, Mrs Victoria Okakwu said, “This new process has received great ovation from the public for its positive impact in areas such as elimination of sharp practices perpetrated by fraudulent individuals and reduction of errors in our data and workload on our staffs, corps members, and other stakeholders. Kazure noted that the feedback from the North West zone, South East zone and the two pilot locations of Lagos and Abuja had been very encouraging and positive, adding that he believed that South West zone will also be successful. He said the training was organized to give participants the requisite knowledge in the IT-based clearance and monitoring of corps members to eliminate the practices of payment of allowances to corps members who are not on ground to serve their fatherland. The NYSC boss urged all official of the scheme to shun any act that may be detrimental to the success of the innovation. In her speech, the NYSC Director of ICT, Mrs. Christy Uba said the biometric module was designed to embrace adequate monitoring and monthly clearance of Corps members. According to her, it keeps the record of absenteeism, checkmates truancy, impersonation and other vices which tend to undermine the aims and objectives of the scheme.